A worthy addition to your games collection, or should this one stay uncharted? Great graphics and voice acting bring the exhilarating storyline to life; varied gameplay; decent length; mostly ignores Sixaxis functionality; nearly zero load times; good unlockables using an achievement system. Nothing all that original here; little replay value; a few kinks in the shooting and fighting engine; a few frustrating sections. I love adventure movies, especially the Indiana Jones series. It's all about the thrilling chases, precarious situations, exotic locales, and wisecracking hero with a wit as quick as his fists. 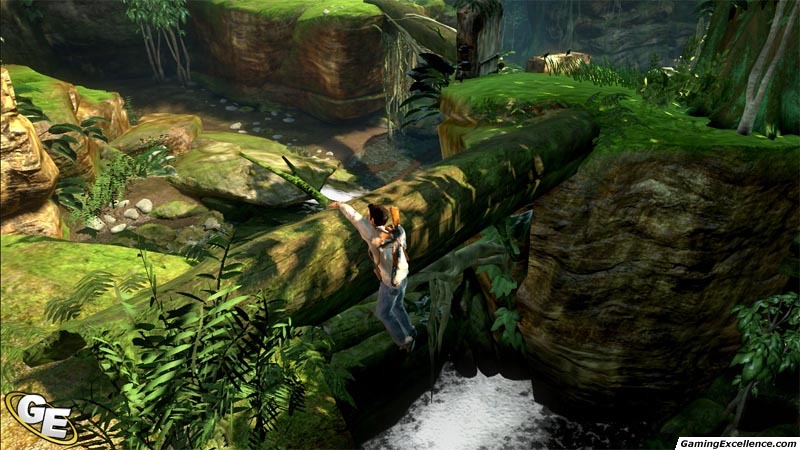 Unfortunately, for all of the great stories and experiences in gaming, I've never experienced the same whimsy and wonder of those Indiana Jones movies, even within the Indiana Jones games; until now. 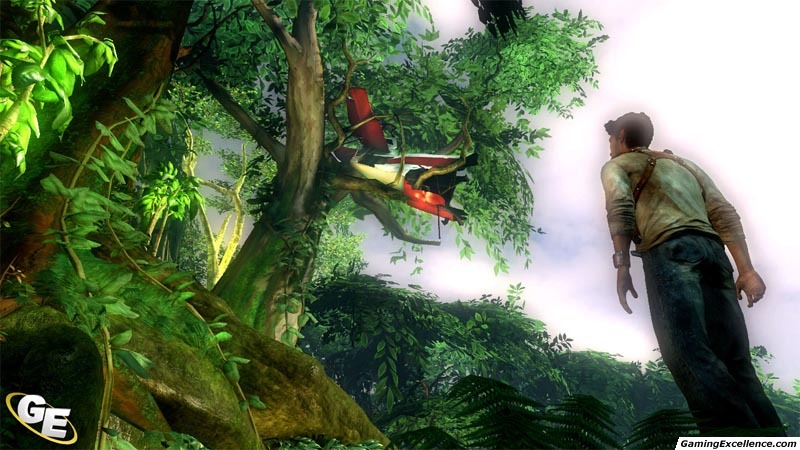 Naughty Dog's Uncharted: Drake's Fortune, completely captures the magic of those adventure matinees in a tight package of fantastic graphics, an intriguing storyline, and the some of the most human characters ever seen in a video game. 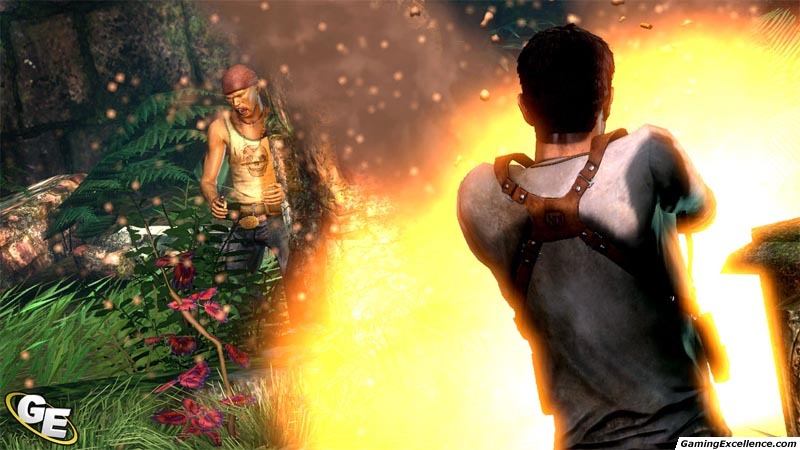 In Uncharted, you'll play as Nathan Drake, a direct descendant of real-life explorer Sir Francis Drake. 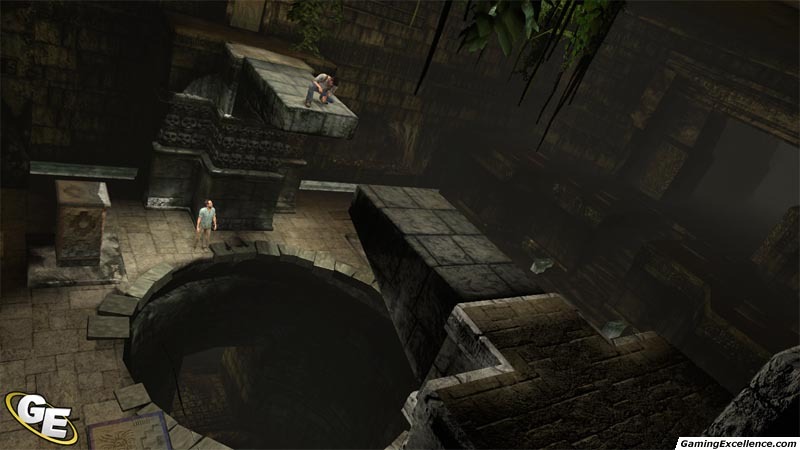 Using clues left behind by his fore-father, Nathan travels all over the world in search of the lost treasure of El Dorado. Of course, there wouldn't be much of a game if there wasn't some competition for the treasure, and in Uncharted, this competition takes the form of modern day pirates. These modern day pirates trade in eye patches and peg-legs for AK-47s and M79 grenade launchers. At least you're given some support in the form of your female companion Elena. The first thing you'll notice right off the bat is how much chemistry Nathan and Elena share. Nathan isn't your typical muscle bound gaming Neanderthal, and Elena isn't a typical leather clad bimbo. Elena is down to earth, funny, and has some genuine dialogue with Nathan the likes of which you've never seen in a video game. Nathan is also a very likeable everyman who is just as enjoyable to guide through treacherous terrain as he is to listen to. It also helps that the spectacular facial animations really help to add to humanity factor of the characters. So we've established that the characters and the storyline are great, but what about how the game plays? 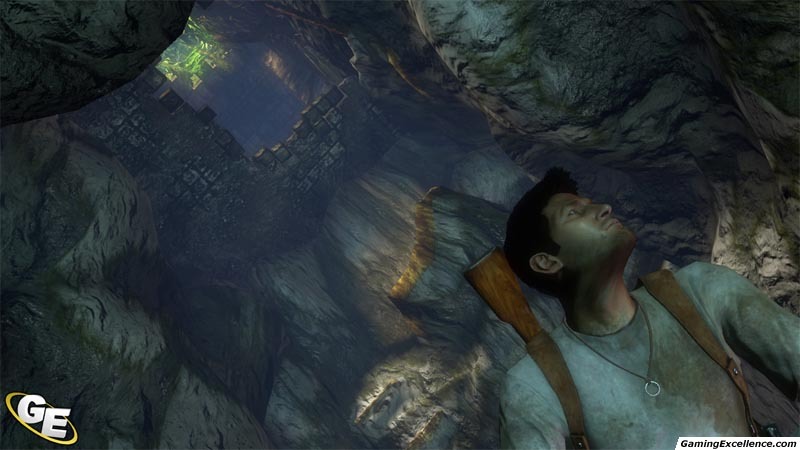 Uncharted is split into three main gameplay portions. There are the shooting sequences, the vehicle sequences, and the sections where you must navigate the treacherous environment. The shooting sequences play a lot like Gears of War. When you encounter enemies, it is highly recommended that that slam to any available cover by pressing the circle button. This is stop and pop shooting at its finest. Take cover, then hold down the left trigger to aim your shot, and the right trigger to fire. Jumping from cover to cover is a total snap thanks to the easy and streamlined controls. During combat is when the Sixaxis controls come into play. You must angle the arc of your grenade by twisting the controller forward or backward. To be honest, this is the closest I've come to anything resembling compelling Sixaxis controls, and the mechanic works quite well. Enemy AI is typically quite good, as they will use team tactics and grenades to flush you out and expose you to fire. Your enemies seem to also have a realistic level of aim, but as you progress through the game their aim definitely improves. Also, your enemies will don body armour for the last portion of the game, demanding accurate headshots from the player. Coupled with the shooting sequences are a few vehicle segments, both on rails and free roaming. 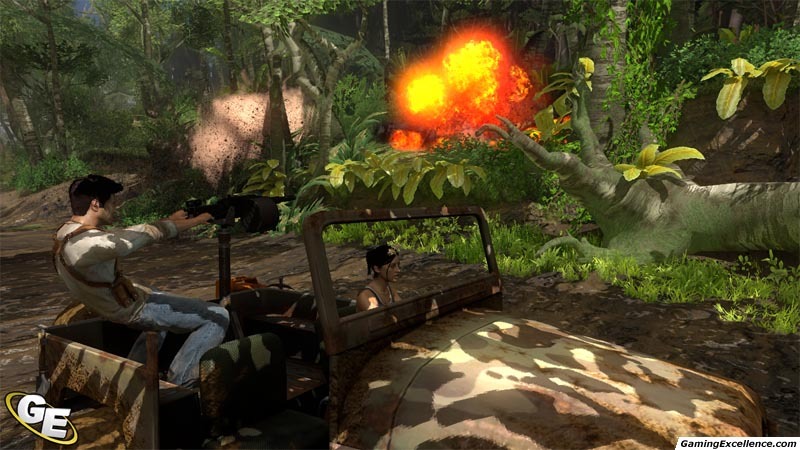 There is a thrilling jeep chase through lush jungle about a third of the way through the game that will have you manning a turret while Elena punches the gas. While this sequence technically isn't anything you haven't seen before, it's very well executed and polished, adding to the blockbuster adventure movie feel. You'll also hop on some Sea-Doo Jet Skis and navigate the rivers of the island. You have full control of the craft during these sequences, although the river is pretty linear from start to finish. The twist here is with a pull of the left trigger, you'll control Elena and her powerful grenade launcher. You'll also have to swerve around several explosive barrels littered throughout the river as well. 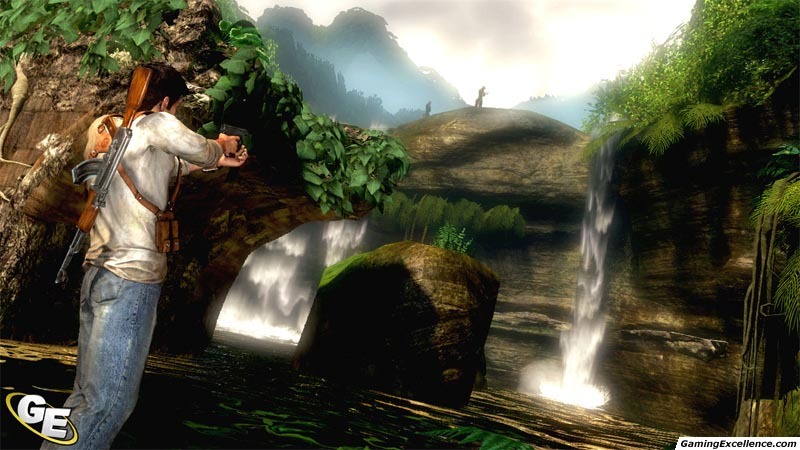 Finally, there is the exploration sequences that have you effortlessly traversing rugged terrain much like a famous middle-eastern prince or well endowed spelunker. Nathan can jump from edge to edge, swing on vines, and free climb like he's been doing it since leaving the womb. I found the controls for vertical navigation to be more responsive and solid than those found in the latest Tomb Raider games, and rarely do you jump in the wrong direction or miss a jump that you really feel you should make. All these different play methods combine to create a challenging adventure that will test various aspects of your gaming skill. 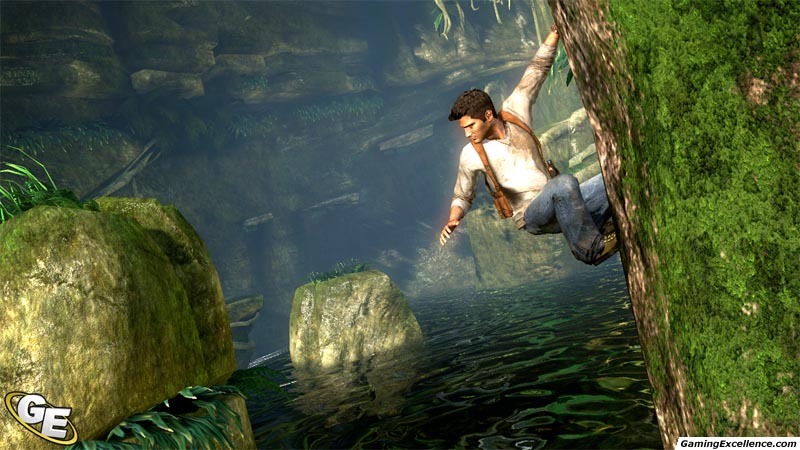 What's perhaps best of all, Uncharted has almost no load times. The game will load for less than a minute when first booted up, and never again will you see a load screen. Levels, deaths, new sections all flow together seamlessly with no black screens or spinning logos to break up your momentum. Since there is no risk of wasting time, the player is highly encouraged to try different tactics and methods. If one fails, feel free to try a new tactic right away. As you progress through this ten hour adventure, you'll unlock Xbox Live style achievements such as fifty headshots or ten kills with certain weapons. As you get these accomplishments, you'll unlock some interesting special features that take deep within the making of the game, including interviews, multi-angle motion capture sessions, and musical tracks. I'm not usually one for checking out special features, but I was very entertained by the myriad of extras available here. Before the great gameplay, the first thing you'll notice is the absolutely outstanding graphics. Uncharted features, bar none, the best facial animation I have ever seen in a video game. 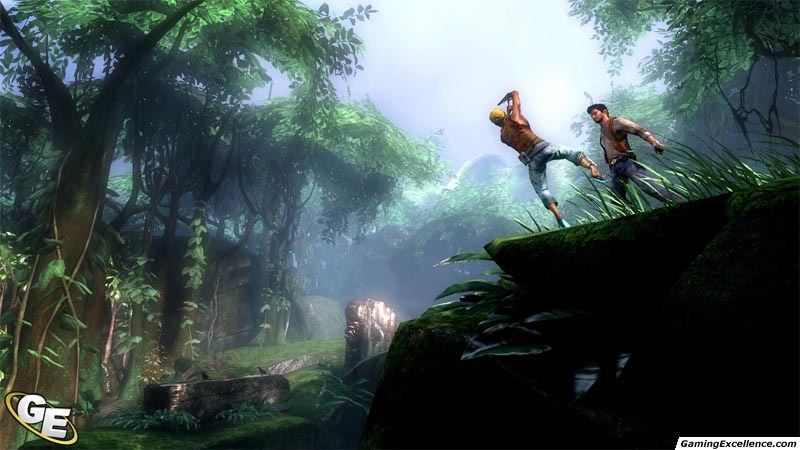 Nothing else even comes close, not even previous champions Heavenly Sword and Half-Life 2. These characters give off a level of emotion that I have only seen in real life and the best of cinema and theatre. 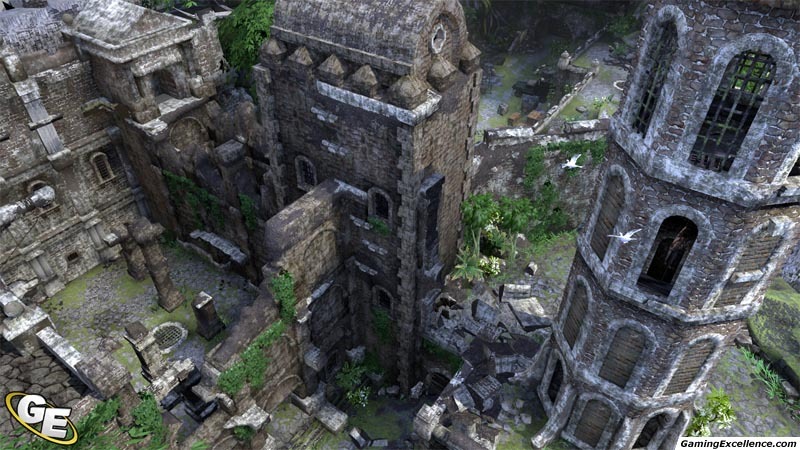 Beyond the phenomenal character and facial models, you will transverse some lush and full jungles and ruins that are overflowing with little details. Plants and foliage react to your every move, and every ripple in every puddle sparkles with sunlight. You will simply find yourself stopping and taking in the sweeping vistas in the game, especially the first time you encounter a sunset over an endless ocean. Simply put, if you squint, the game looks real. That is, until you encounter some rare goofy animations. Enemies sometimes look like they're doing a jig when they get shot, and every now and then there is an awkward transition from one of Nathan's moves to the next. Still, these glitches are few and far between and do little to tarnish what is one of the most gorgeous games to date on any system. 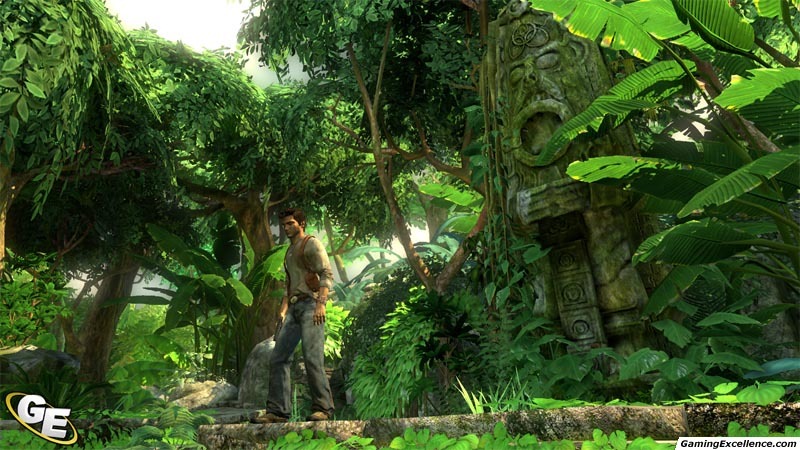 Acoustically, Uncharted is also excellent. Of particular note is the phenomenal voice acting that couples together with the great animation to really humanize the characters. The dialogue exchanges are better written than many Hollywood movies, and is another step forward in the legitimization of video games as a story medium. If you have a surround system that supports DTS, then you are really in for a treat. 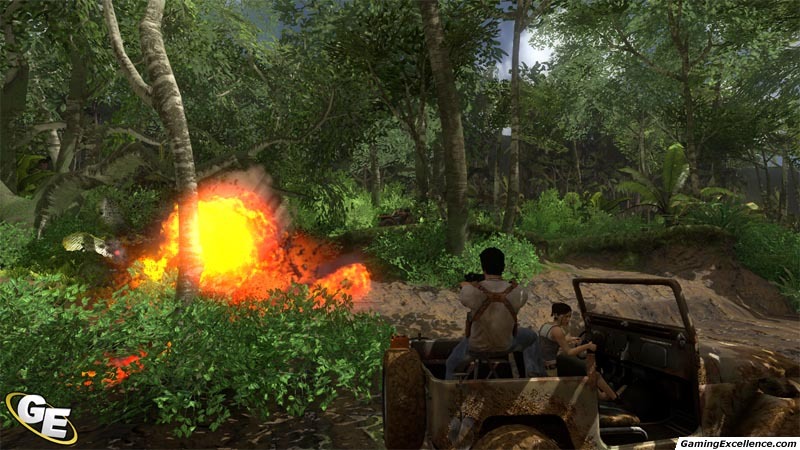 Uncharted automatically defaults to DTS sound, which means more bass, louder explosions, and way better sound separation. 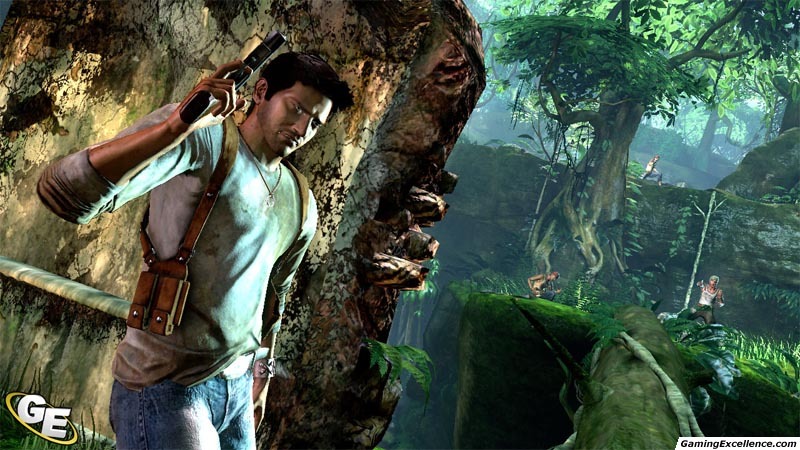 Therefore, it comes as little surprise that Uncharted sounds great, with punchy explosions counterbalanced with subtle surround sound use during the quieter scenes, all accompanied with a solid orchestral score. 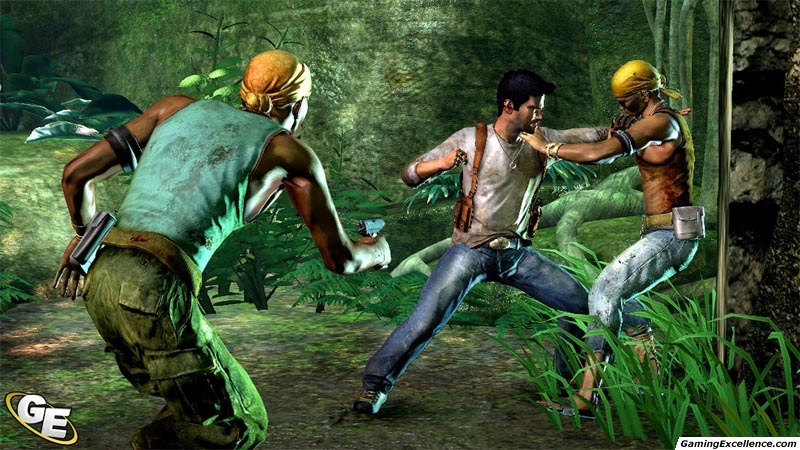 Uncharted will make great use of whatever sound system you may have. 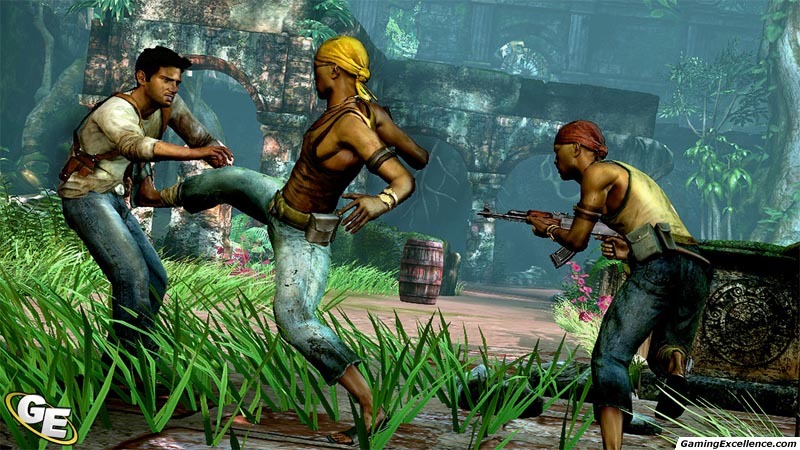 It's as simple as this; if you own a PS3, you need to get Uncharted: Drake's Fortune. 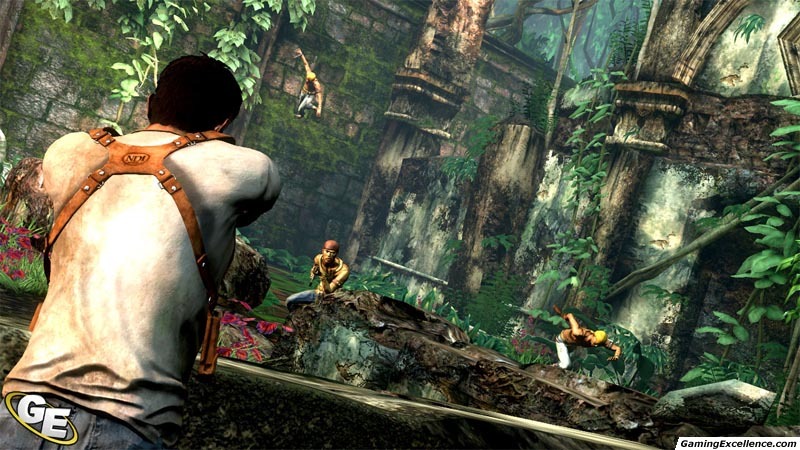 This is the most polished, thrilling, graphically intense, and most importantly; fun game on the PlayStation 3 system. Uncharted will finally justify that expensive PlayStation 3 purchase for you, and it's a great exclusive to show off to your Xbox 360 fanboy buddies. The treasure of El Dorado is waiting for you.